It's my turn to host the challenge at Friday Mashup this week and I've got a technique for everyone to try, the Embossing Folder Stamping Technique. It's really easy to do and gives you another excuse to pull out your embossing folders! I took the Arrows TIEF and used Lost Lagoon and Smoky Slate ink, spraying it with some water, and then I put down a panel of Whisper White to get my design. This panel is adhered to the left side of the card for contrast against the DSP. I used some shapes from the Just Sayin' set for my focal area, finishing it off with the "hey there" sentiment. 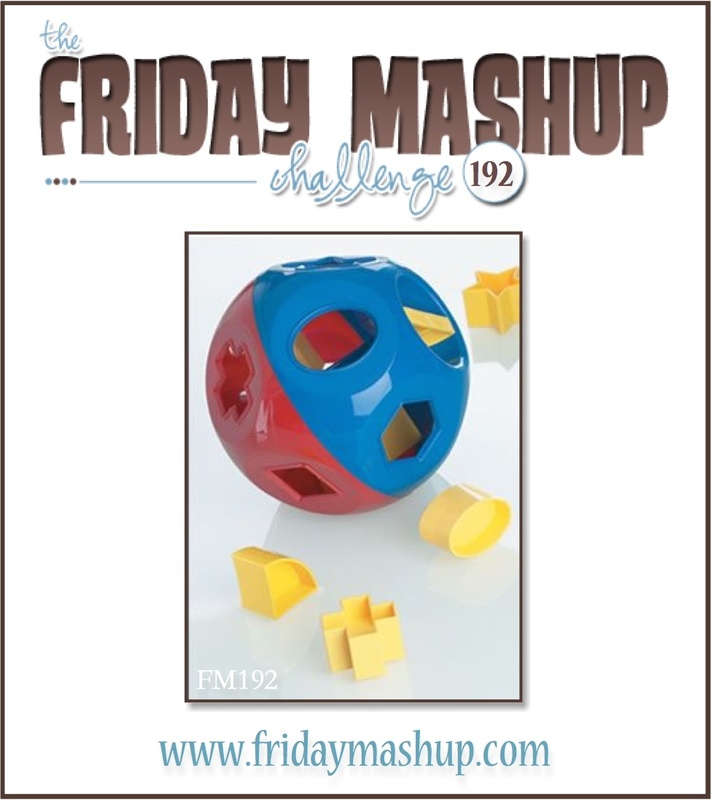 Head over to The Friday Mashup to check out all the great projects from the DT, and then play along with us, I'd love to see what you create! Love all the fun shapes in your card. The DSP goes great with your inked up folder! This card is FUN!! Love how you layered all of the different speech bubbles, what a great design! !